A dark cave. In the middle, a boiling cauldron. Harpier cries "'Tis time, 'tis time." This weekend I was savoring Wallace Steven's wonderful poem, Thirteen Ways of Looking at a Blackbird. I began to think that looking at fall in this way might be an interesting thing to do. Now, you don't need to come up with 13 stanzas of your own. Perhaps we could write this as a modified renga, each contributing a verse or two. Here are the stanzas I'm starting with (I think). However you want to approach it, the challenge this week is to write a few stanzas (or more!) about fall. Please share a link to your poem or the poem itself in the comments. In honor of the holiday just 6 short days away, I'm sharing a poem in the spirit of the season. Today I'm sharing the poem for the letter Z. Check out other poetic things being shared today at Live Your Poem. Wish Irene a happy 1000th post while you're there. Happy Poetry Friday all! I hope Mortimer isn't too angry that I finished off the last of the fresh celery greens last night while making a pot of yummy vegetable soup. 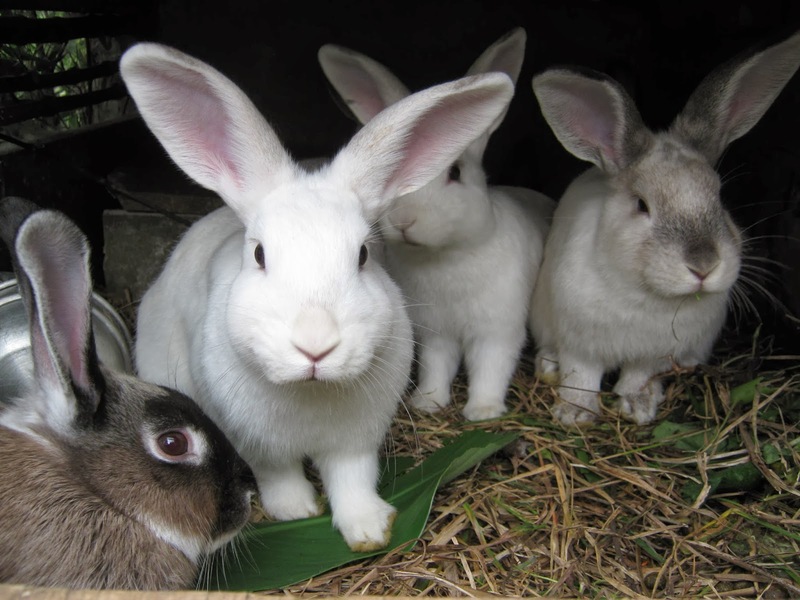 I promise to head to the farmer's market tomorrow to get him something green and leafy if he promises to stick around! I've been absent from Poetry Friday for quite a while now, so Laura Purdie Salas thought this might be a way to get me back into the swing of things. I think she just might be right! Like Laura, I'm not much of a meme girl, but this one was too much fun to pass up. 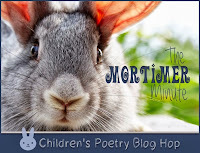 So, without further ado, I'm jumping into the Children's Poetry Blog Hop head first. Many thanks to Laura for the invite! Answer 3 questions. Pick one question from the previous Hopper. Add two of your own. Keep it short, please! This is a Blog Hop, not a Blog Long Jump. This is The Mortimer Minute—not The Mortimer Millennium! Say thank you. In your own post, link to The Previous Hopper. Then keep The Mortimer Minute going — let us know who your Hoppers are and when they plan to post their own Mortimer Minute. Mortimer's got some friends waiting, so let's go! Mortimer: Is there a children’s poem that you wish you had written? Mortimer, you really can't expect me to pick just one! There are so many that I love for so many different reasons. Since growing up next door to a dairy farm, I've always had a fondness for cows. This means that I wish I had written just one of the many cow-themed poems penned by Alice Schertle. Here's one of my favorites. and afterward was slightly lame. to try the trick again. but gazed for hours at the moon. They never found the dish and spoon. Poem ©Alice Schertle. All rights reserved. I certainly do! 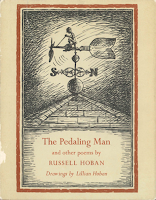 It's called THE PEDALING MAN AND OTHER POEMS and is written by Russell Hoban. Here's a photo of my well-worn and much beloved book. It was published in 1968. I'm not sure when I got it, but I remember it well. 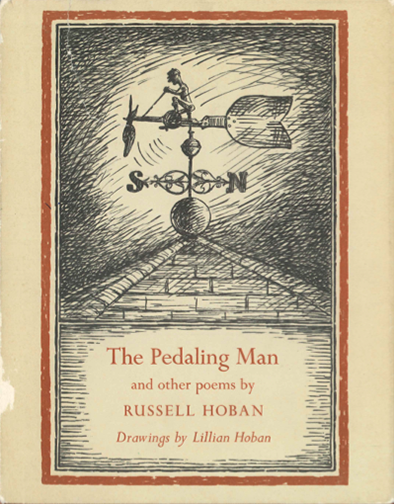 Growing up near the Erie Canal, Genesee River, and Lake Ontario I was very familiar with water, but it was this poem of Hoban's that captivated me. Smooth glass rough, rough stones round? Night and the wind and the long gray dawn. What do you sing in the empty shell? Bones in the deep and brave men gone. Mortimer: If you could host a dinner party and invite three poets, who would you choose? That's it for me and my Mortimer Minute. Next week the the Children's Poetry Blog Hop continues with Robyn Hood Black, an author and poet I had the honor of sharing many fabulous meals with while attending a Highlights Foundation workshop. 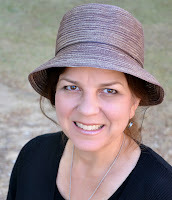 Robyn is the author of Sir Mike (Scholastic) and Wolves (Intervisual Books) and writes poetry, fiction, and nonfiction. Her poetry appears in The Poetry Friday Anthology and The Poetry Friday Anthology for Middle School (Sylvia Vardell and Janet Wong, Pomelo Books), in Georgia Heard's anthology of found poems, The Arrow Finds Its Mark (Roaring Brook), and in leading haiku journals. 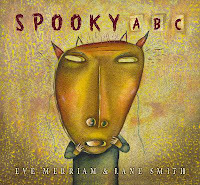 Her fiction has appeared in Highlights and her poetry has been featured in Ladybug and Hopscotch. She also creates "art for your literary side" through her business, artsyletters. Check out other poetic things being shared today at Merely Day by Day. Happy Poetry Friday all! I seem to be stuck on repeating forms these days. There is something challenging about fitting the same line(s) into a poem and making it work. A kyrielle is a French from that was originally used by Troubadours. In the original French kyrielle, lines had eight syllables. Written in English, the lines are usually iambic tetrameters. The distinctive feature of a kyrielle is the refrain in which the final line of every stanza is the same. The name of the form comes from the word kyrie, a form of prayer in which the phrase "Lord have mercy" (kyrie eleison) is repeated. A kyrielle can be any length as long as it is written in 4 line stanzas of iambic tetrameters. A kyrielle also has a rhyme scheme. Two popular forms are aabB/ccbB/ddbB etc. or abaB/cbcB/dbdB etc., where B is the repeated refrain. Here is an example of the form. A fly in sunshine,--such is the man. All things must end, as all began. Then no more gazing upon the sun. All things must end that have begun. Where is the time for hope or doubt? A turn of the wheel, and rest is won. Death is the only deathless one. Is the prize worth the stress of winning? E'en in the dawning day is done. What is it worth when the goal is won? Love grows irksome and wine grows bitter. Two are parted from what was one. Fair and softly the day is done. If you want to learn more about the kyrielle you can read this Wikipedia entry or the article Kyrielle: The Kyrie Reformed. I hope you'll join me this week in writing a kyrielle. Please share a link to your poem or the poem itself in the comments. Laura Salas has done a spectacular job in her poetry Friday introduction describing the Poetry Seven's recent foray into writing pantoums. The only requirement was the form and that we use the line “I’ve got better things to do than survive,” from Ani DiFranco’s song Swandive. I have the album this song is on, so I did not listen to it while I was writing for fear that my poem might too closely resemble the song. Thanks to my poetry sisters for holding my feet to the fire and encouraging me not only to write, but to share. I hope you visit the other Poetry Seven blogs today and see how crazy talented these women are and how very different poems revolving around the same line can be. Here's where you'll find them. While you're at Laura's place, don't forget to check out the rest of the Poetry Friday entries being shared this week. Happy poetry Friday all! A rondel is a variation of the roundeau. In the book A Kick in the Head: An Everyday Guide to Poetic Forms, Paul Janeczko calls it a roundel and defines it this way. A roundel is a three-stanza poem of 11 lines. The stanzas have four, three, and four lines in them and a rhyme scheme of abab bab abab. Ah, but there's more. Line 4 is repeated as line 11 -- not an easy trick! The roundel in the book, entitled A Silver Trapeze, was written by Alice Schertle, a woman who once said "Writing poetry is difficult, absorbing, frustrating, satisfying, maddening, intriguing – and I love all of it!" I am so with her! Here is a roundel about a roundel. Will you join me this week in writing a roundel? Please share a link to your poem or the poem itself in the comments. It may be "Five O'Clock Somewhere," but it's certainly not Monday anywhere. Sorry for being a bit late on this one. Since I've been playing around with the pantoum, I want to try another strict verse form this week. I've only written a few triolets, largely because the form scares the heck out of me. A triolet is an eight line poem with a tightly rhymed structure and repeated lines. Here is the form.